Mold is a form of fungus which can live anywhere-outdoors or indoors- any time of the year provided a dark, damp and humid environment on which it thrives. If your basement or crawlspace experiences high levels of wetness and dampness, mold will certainly grow there. When mold reproduces, it forms spores that travel through air enabling it to spread throughout the area. Unchecked, mold can spread to other areas of your home, like bathrooms and kitchens which are also prone to mold growth. However, once airborne, mold can spread anywhere, including your bedroom. There are different types of molds but Stachybotrys (or black mold as it is commonly called) can be the most dangerous. It frequently grows inside buildings and homes with persistent water intrusion where it produces toxic spores. This can cause major health problems for anyone living in the home. Mold growth in the home can produce different types of health problems. Inhaling mold fragments or spores can lead to nasal congestion, wheezing, chest tightness, coughing, and throat irritation. Prolonged exposure to high levels of dampness can also lead to a reduction of lung functioning and asthma. People already suffering from respiratory problems like asthma and bronchitis are likely to aggravate their problems further when continuously exposed to mold growth. According to the WHO estimates (World Health Organization), a large portion of the world’s 300 million cases of childhood asthma can be attributed to indoor dampness and mold growth. 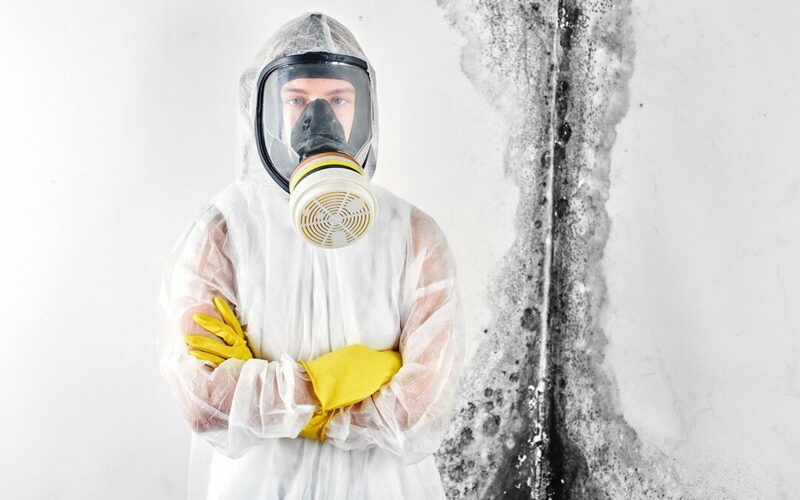 According to WHO estimations, 10%-50% of the residential homes and commercial buildings are subjected to dampness which provide the ideal environment for mold growth. Mold growth in your bedroom is the worst as it affects you when you are asleep. Living in damp and mold-infected environment has also been known to cause depression which in turn can lead to other forms of mental illness. If your basement or crawlspace is subject to dampness, or if there is a damp, musty smell in your home after rain, you likely have mold growth in your home. American Crawlspace Solutions provides professional mold remediation services. We can remove the current mold infestation and treat the affected surfaces below your home. To prevent future mold formation, we can encapsulate your crawlspace and install dehumidifiers to reduce air humidity and condensation levels. You should also monitor your basement or crawlspace, especially after rain, to see if your basement or crawlspace has leaks.